Cleveland, Ohio (January 15th, 2018) – This year, innovative industry leaders Howard Hanna Real Estate Services and Spacio will partner to streamline a longtime cornerstone of real estate sales, the Open House. The new, sophisticated and simple-to-use mobile application called Open 2 Close will be powered by Spacio. Howard Hanna sales associates will use it as a replacement for paper sign-in sheets. 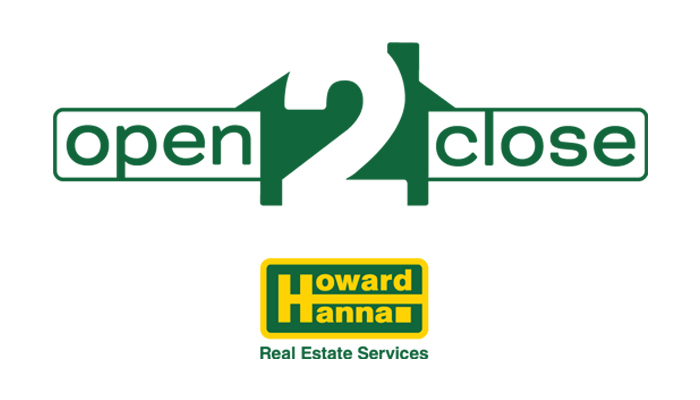 The new and integrated application delivered via Open 2 Close will create an elevated experience for open house visitors and Howard Hanna agents. Every aspect of an agent’s business will be automated, reducing errors and creating new opportunities. When a visitor enters an open house, agents will make the best first impression with digital registration. Open 2 Close will also make it easy for agents to build rapport and become an invaluable resource for their buyers. Nearly half of buyers in the United States consider open houses a source of valuable information during their home search. With Open 2 Close, the contact information of open house visitors will be captured accurately and privately, not left out in the open for other attendees to see. The digitized registration will also give potential buyers a professional, inviting and overall more engaging experience. Once visitors are registered, additional property information will be sent to them automatically, and they can use it at their discretion.